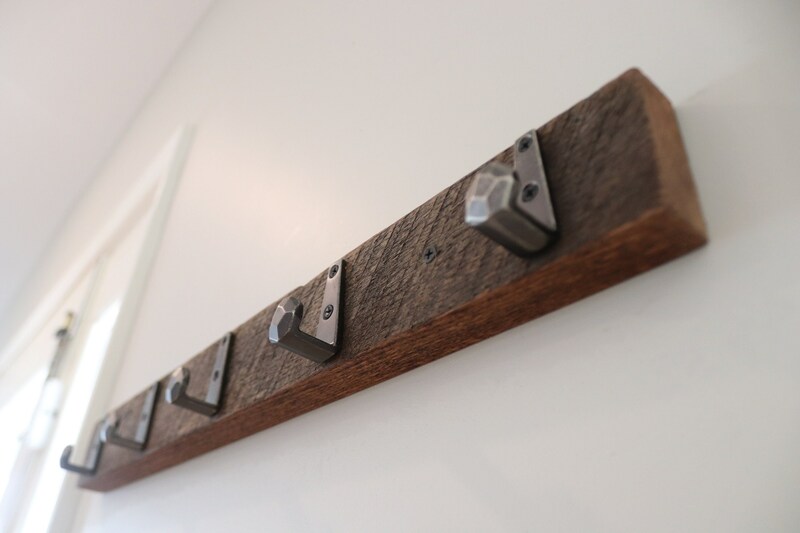 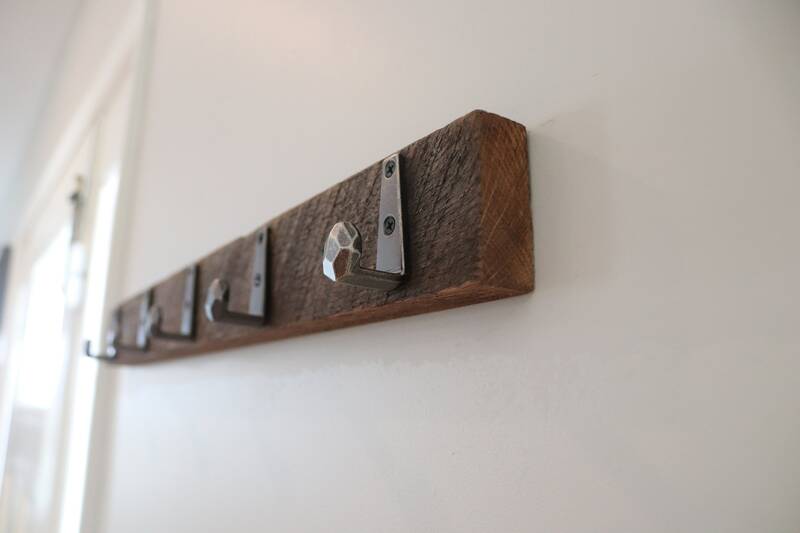 The 5 metal hooks create an elegant look. 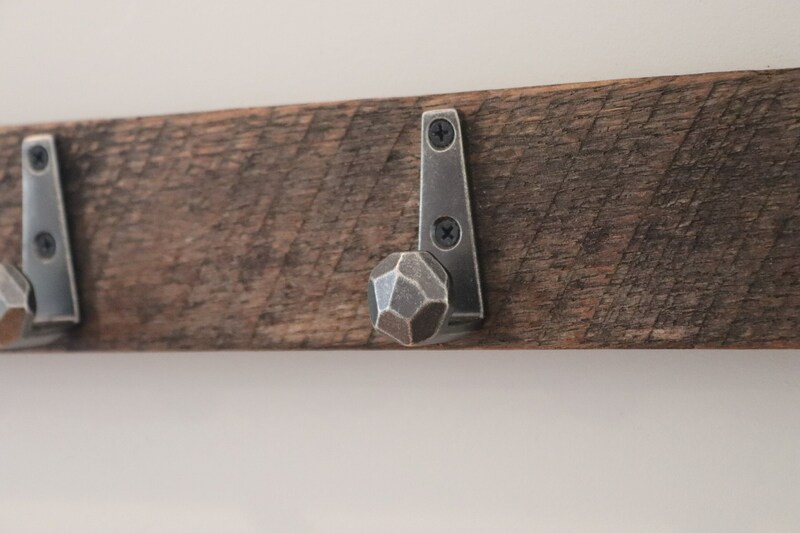 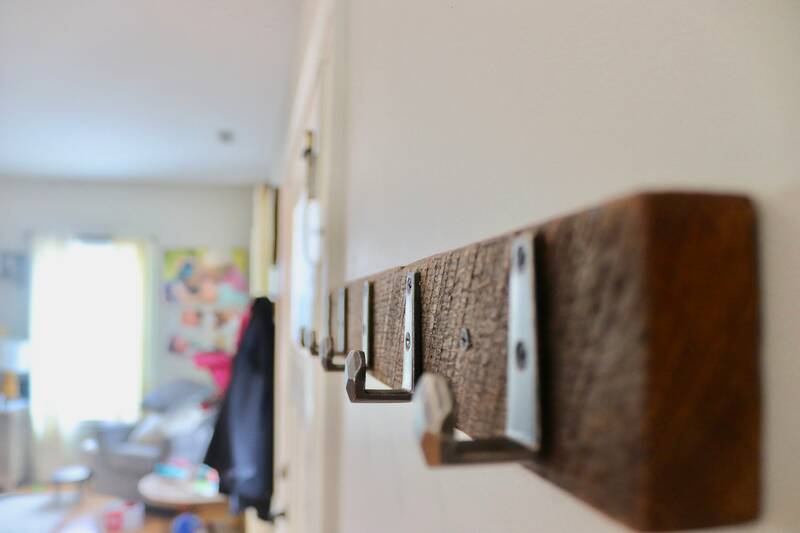 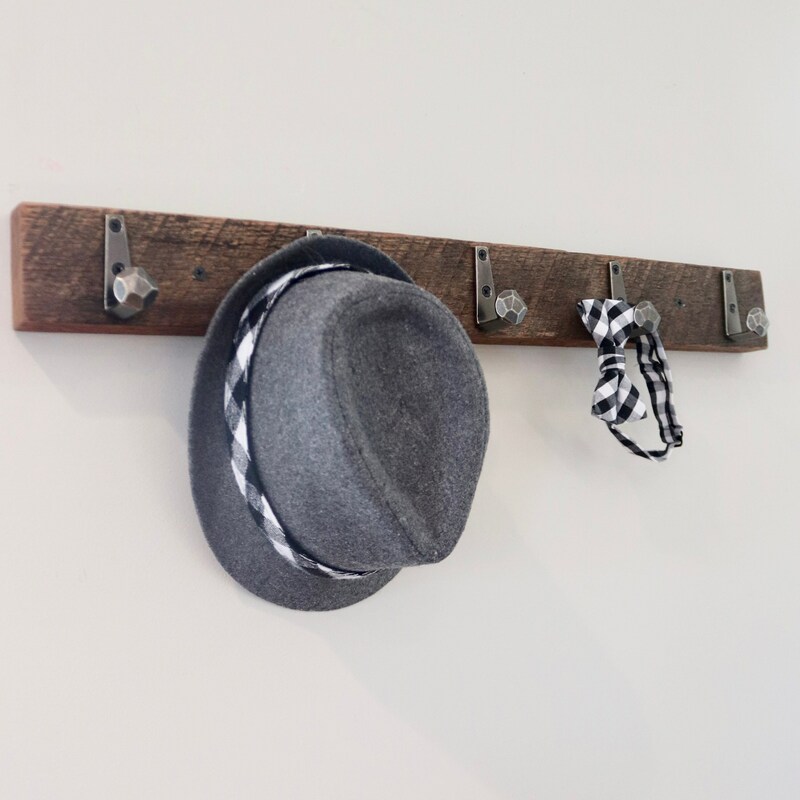 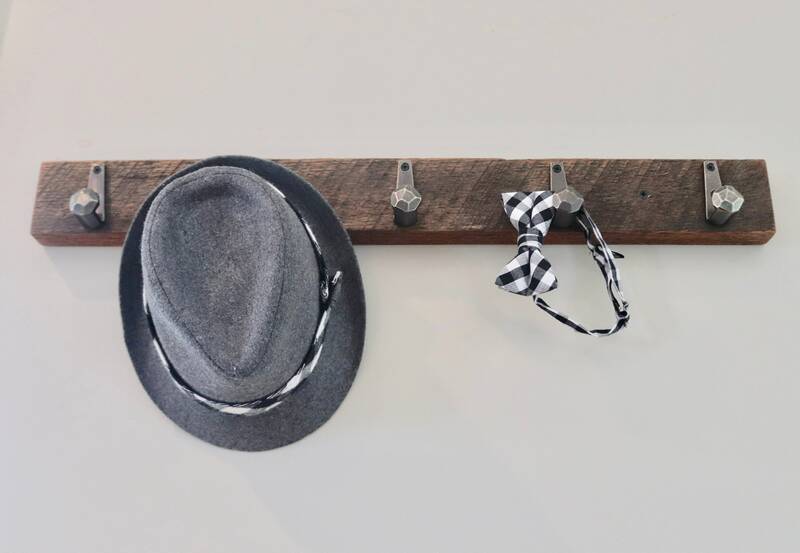 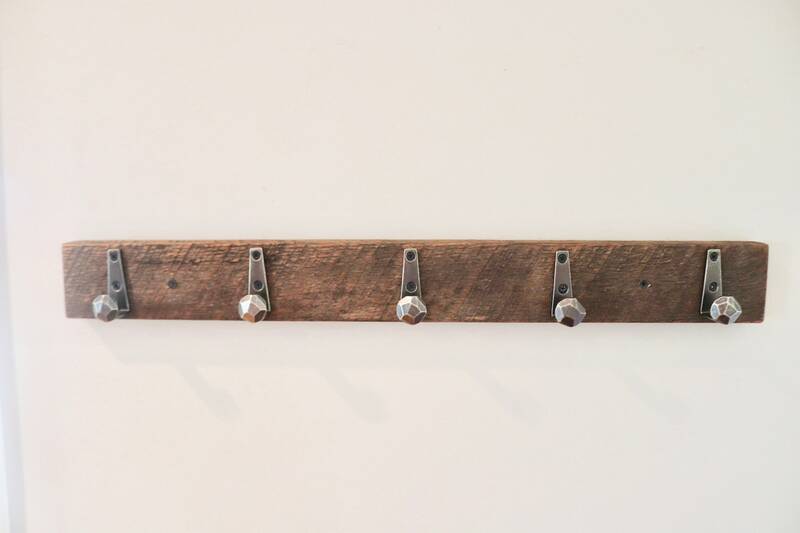 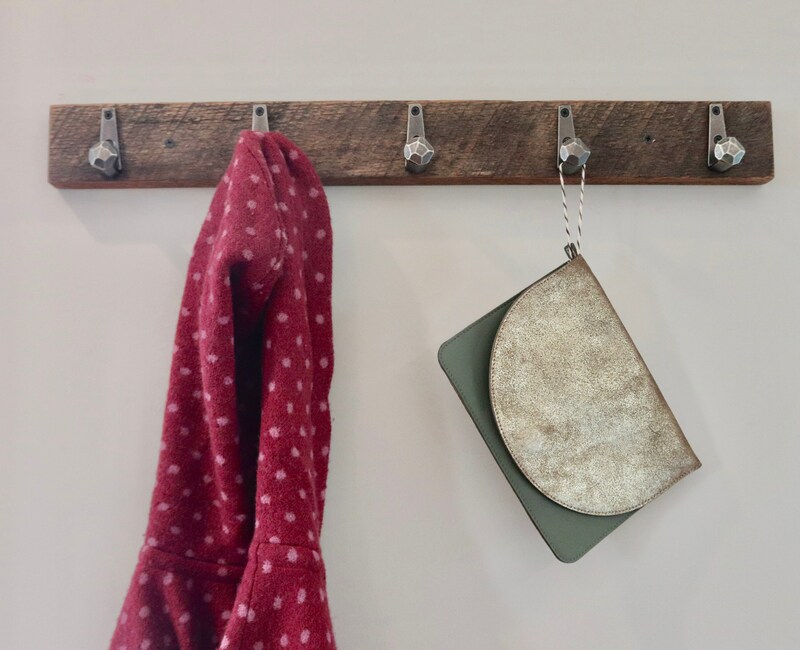 These hooks make a great way to hang purses, scarfs, jackets and more. 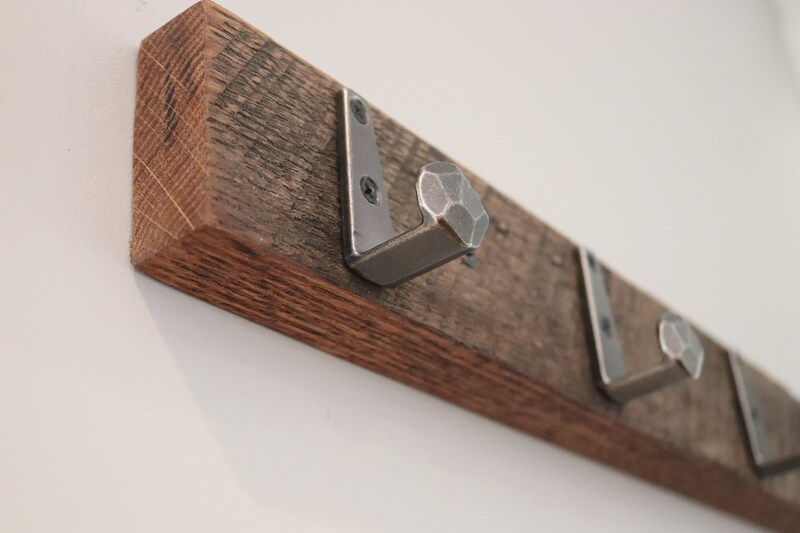 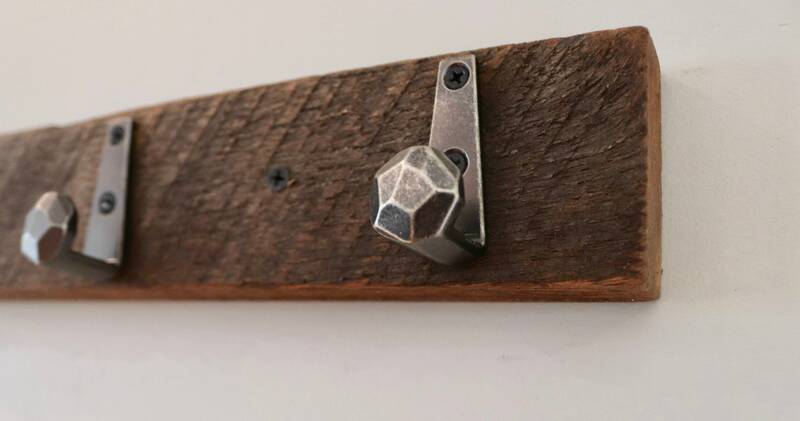 Hangs with two screws through the board directly into the wall for maximum strength.